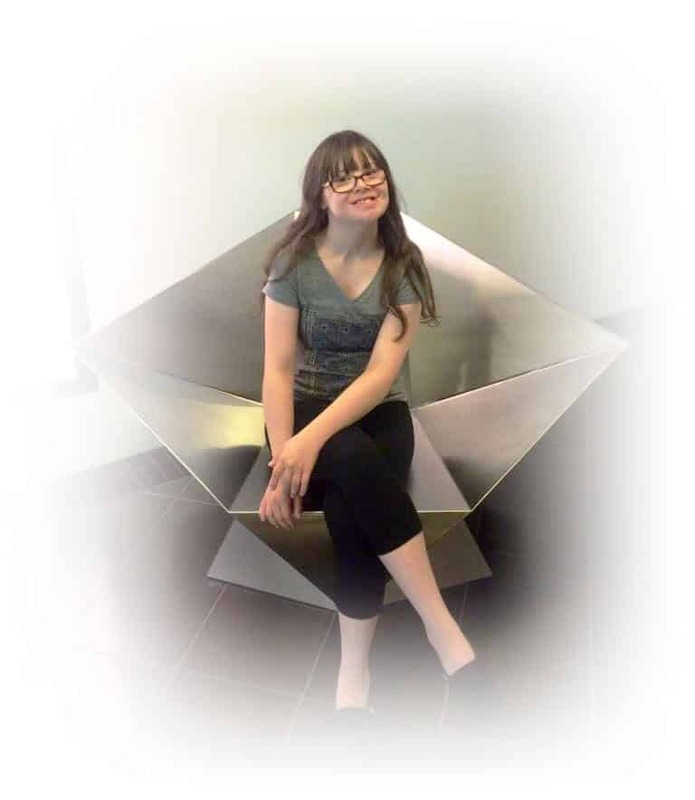 When Anna, a young girl with Down Syndrome, was entering kindergarten, her parents, Loretta Hurley and Alan Schlossberg, searched for a classroom where she could be in an inclusive setting and learn to read. With Anna’s older sister at Word of God, Loretta and Alan found St. Anthony School Programs. When Anna got started with St. Anthony in kindergarten, Loretta admits “she was behind, but her teacher, Mary Ellen Begley, promised she’d read.” And sure enough, by fourth grade, Anna was reading everything. Meeting Anna now, nearly 17, you’ll find a young woman who loves to read—so much so, some might find it hard to pull her away from whatever she’s reading at the time. Reading and drawing are her two favorite things. Anna has grown with St. Anthony and as a junior at Serra Catholic, her favorite class is art. “I like the colors, and I love painting,” Anna said. She spends part of her week focused on job training. Two days she works at UPMC Mckeesport and once a week at Papa Rock’s Pizza in Monroeville. Through these opportunities, Anna is learning time management, commitment and how to be a loyal employee. Through St. Anthony’s inclusive classrooms, Anna has made friends, both in and out of the program. She’s attended school dances, and she’s even taken part in Serra Catholic’s musicals. Outside of school, Anna is involved with competitive cheerleading, where she has made friends and gets to spend time with some classmates. “It has been the best thing,” Loretta said. Anna will graduate next year and is excited to enroll in St. Anthony’s post-secondary program at Duquesne University. She already has her Duquesne t-shirt.